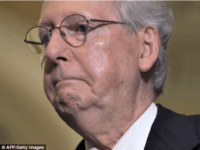 Sen. Joe Manchin’s (D-WV) lead in the polls slipped to only four points over West Virginia Attorney General Patrick Morrisey. 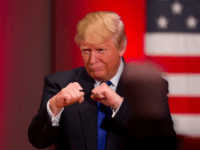 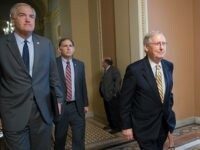 President Donald Trump, West Virginia State Attorney General Patrick Morrisey, and the populist conservative movement were the big winners in Tuesday’s West Virginia Republican U.S. Senate primary. 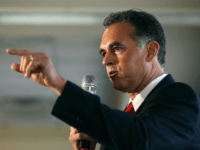 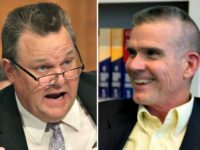 Danny Tarkanian, an anti-establishment insurgent GOP candidate for the U.S. Senate in Nevada, is stepping up to fight back against Senate Majority Leader Mitch McConnell’s cronies and Sen. Dean Heller (R-NV) in their efforts to inaccurately smear former White House chief strategist and Breitbart News Executive Chairman Stephen K. Bannon. 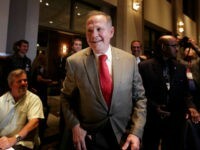 Judge Roy Moore addressed a room of jubilant supporters in Montgomery, Alabama, with words of thanks and acknowledgment of God in his win shortly after he was declared by several media outlets to be the winner in Tuesday’s Republican primary runoff election. 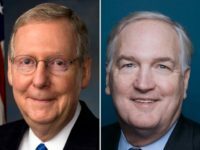 Rep. Mo Brooks (R-AL) spoke with Breitbart News Daily SiriusXM host Raheem Kassam, who was also joined by Stephen K. Bannon on Tuesday, regarding the voting taking place in Alabama’s Senate special election. 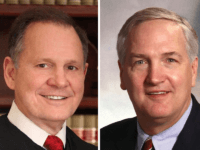 Respondents in a last-days Alabama poll released on Monday were overwhelmingly resolved in their decisions to choose Judge Roy Moore over political appointee Luther Strange for the U.S. Senate seat vacated by Jeff Sessions earlier this year. 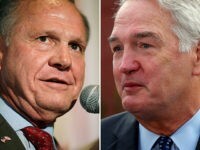 Judge Roy Moore holds a significant advantage over his establishment opponent Sen. Luther Strange (R-AL) in the Alabama Senate race — with a poll released Friday showing that Moore has an eight-point lead over the Trump-backed Strange. 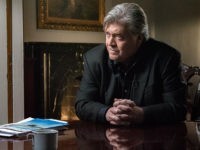 President Donald Trump’s political muscles are getting a workout in a Republican runoff election in Alabama that has an awkward dynamic: He’s campaigning for the establishment-backed incumbent over an upstart beloved by many of his own most ardent supporters, including his former chief strategist Steve Bannon. 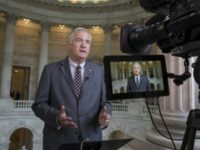 Allies of establishment-backed Senate candidate Luther Strange, including Senate Majority Leader Mitch McConnell, are in full panic mode over the Senate race here just a week away. 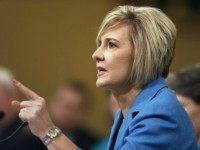 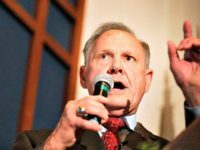 MONTGOMERY, Alabama — Becky Gerritson, the president of the Wetumpka Tea Party in Wetumpka, Alabama, just outside Montgomery here, has a message for Senate Majority Leader Mitch McConnell’s PAC Senate Leadership Fund: Stop deceptively editing videos to attack conservative Judge Roy Moore. 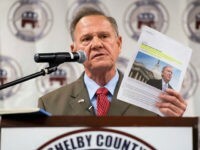 MONTGOMERY, Alabama — Senate Leadership Fund, a PAC affiliated with Senate Majority Leader Mitch McConnell backing Luther Strange, is flooding the state of Alabama here with more false attack ads against conservative Judge Roy Moore that hurt President Donald Trump’s agenda. 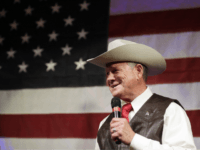 Judge Roy Moore, the conservative candidate in the U.S. Senate GOP primary runoff in Alabama, continues to maintain his commanding lead over the establishment-backed Luther Strange, with a new poll showing the race to be Moore’s to lose. 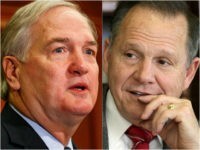 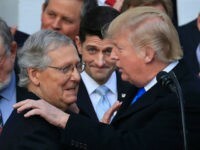 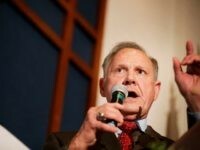 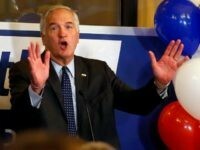 On Thursday the Senate Leadership Fund, a Super PAC associated with Senate Majority Leader Mitch McConnell (R-KY), trotted out a “poll” that purports to show that the Republican establishment candidate, Senator Luther Strange (R-AL), trails conservative Judge Roy Moore by only one point in the upcoming September 26 Alabama U.S. Senate Republican primary runoff election. 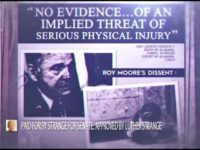 On Tuesday, Judge Roy Moore blasted Caleb Crosby, the president of the Alabama Policy Institute and co-sponsor of a scheduled September 21 debate between Moore and incumbent Senator Luther Strange (R-AL). 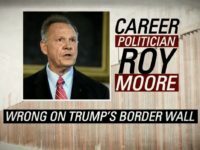 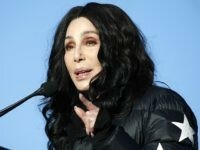 Moore says Crosby failed to disclose his close ties with Senate Majority Leader Mitch McConnell (R-KY), whose Leadership PAC, the Senate Leadership Fund, is backing Strange in the September 26 runoff election. 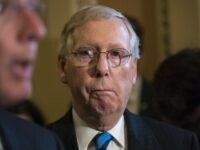 A Super PAC backed by Senate Majority Leader Mitch McConnell (R-KY) took aim at former White House Chief Strategist Steve Bannon Tuesday. 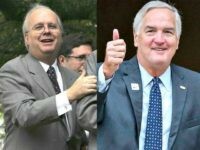 Luther Strange has made another major and critical campaign blunder here in Alabama, bringing aboard his team a highly controversial campaign operative whose history puts her crosswise with Strange’s biggest endorser to date. 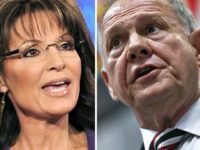 According to information obtained by Breitbart News, the Senate Leadership Fund has spent $2.5 million on advertising for next month’s U.S. Senate Republican primary runoff in Alabama.